Home » Blog » Is a Perfect Smile Possible In Allen Park? Is a Perfect Smile Possible In Allen Park? Are you considering a smile makeover in the Allen Park area? Are you skeptical of promises of a ‘perfect smile’ a ‘celebrity smile’ or ‘a dazzling, youthful smile’? Let’s talk about the most popular Allen Park cosmetic dental procedures and the results that can be expected. The application of porcelain veneers at Szalai & Szalai DDS can remedy a multitude of aesthetic dental problems and is often a better cosmetic dental solution for candidates in the Allen Park area than dental bonding. Veneers can correct tooth chips, tooth cracks, minor tooth misalignment, tooth discoloration, unattractive tooth shape, and disproportionate tooth size. Can a porcelain veneer create a perfect tooth? While a veneer cannot fix a decayed tooth, it can turn an unsightly tooth into an aesthetically perfect tooth. Allen Park tooth whitening is a non-invasive cosmetic dental treatment that dramatically improves a smile. However, some Allen Park tooth whitening dentists will guarantee fantastic results for any patient that desires a whiter smile. At Szalai & Szalai DDS in Allen Park we only recommend tooth bleaching for clients that are good candidates for the process. If you have all-natural teeth that are dull or stained, tooth whitening will brighten your smile. If you have several crowns in the front of your mouth, or gums that have receded, conventional tooth-whitening may not improve your smile. Call 313-928-2323 to schedule a tooth-whitening consultation. If you have a mouth full of metal fillings, you may be interested in tooth-colored fillings. To get an idea of how the inside of your mouth would look without metal, have someone without any fillings open their mouth. Do you remember when your mouth looked like that? Would you like to bring your smile back to its pre-filling appearance? It is possible with tooth-colored fillings at Szalai & Szalai DDS. These are just a few of the cosmetic dental solutions that create perfect smiles for our Allen Park clients. 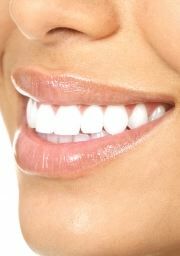 You can see a complete list of our services at http://www.AllenParkDentists.com/.